If you’re thinking about starting your own business, you might want to consider freelancing. Freelancing simply means that you offer services to other companies without any fixed contract. There are a lot of advantages to this type of career choice. If you do it right, you can make a lot of money and gain huge success. On this post, we’re going to discuss some of the main advantages as well as the best ways to set up your freelancing career. These days businesses aren’t hiring as many people full time. Instead, they are looking for freelancers. The advantage for the business owner is that they hire cheap labor without a fixed contract. This means that they can hire and fire as they please. Since this is not classed as a permanent contract, they are also under no obligation or expectation to offer benefits. For instance, a pension scheme, bonuses or permanent positions. But the increased popularity of this type of business model is also a positive for freelancers. There’s plenty of opportunities to go around if you know where to look. 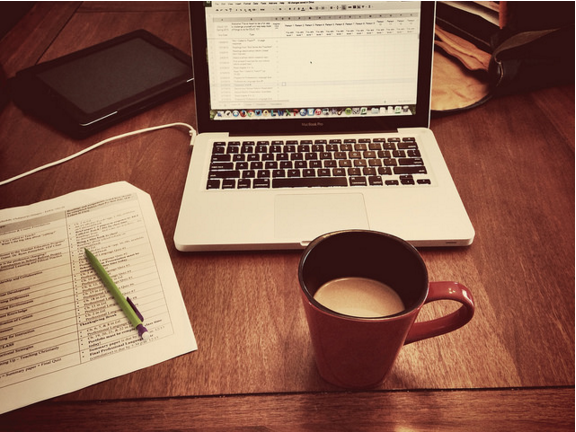 As a freelancer, you may find that more often than not you will be working from home. This will be the case if there is a way for you to complete your job effectively without coming into the office. It streamlines the process and gives you a certain amount of freedom. You won’t need to travel or relocate as all transactions often occur online. All you need to worry about is making sure that you have a reliable internet connection and fast speeds. Other benefits of working from home include increased comfort and never having to deal with morning rush hour. By freelancing, you will gain a wealth of experience. This will make you a desirable hire for future job prospects. You will be able to show that you have worked on a number of different projects. If you work hard, you can build up a brilliant portfolio to show. This is one of the most important freelance success tips that I can offer. You should make sure you are building up your portfolio to show to future employees or potential clients. Remember, you can use freelancing experience to set up your own business. Typically, people find themselves tied down to jobs without even realizing it. One day they are pursuing their dream, and then five years later they have been stuck in the same office they took in a temp job. As a freelancer, you’ll never have to succumb to this fate. You’ll have complete control over your career, only taking the jobs that you are interested in. If you like, there will be nothing stopping you continuing to search for your dream position. Or, continuing to plan for your own company. There’s no doubt that there are huge advantages to working as a freelancer. You just need the courage to get started and put yourself out there as a potential hire.